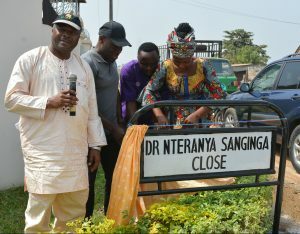 IITA Director General, Dr Nteranya Sanginga, was honored by the Akinyele Local Government Authority, Ibadan, by naming a street after him on 12 January at Akingbile for his dedication and selfless sacrifice in transforming and improving the livelihoods of people within the neighboring community and sub-Saharan Africa at large. The street, formerly named Road H Oluana, Akingbile, is now called Dr Nteranya Sanginga Close, Akingbile. 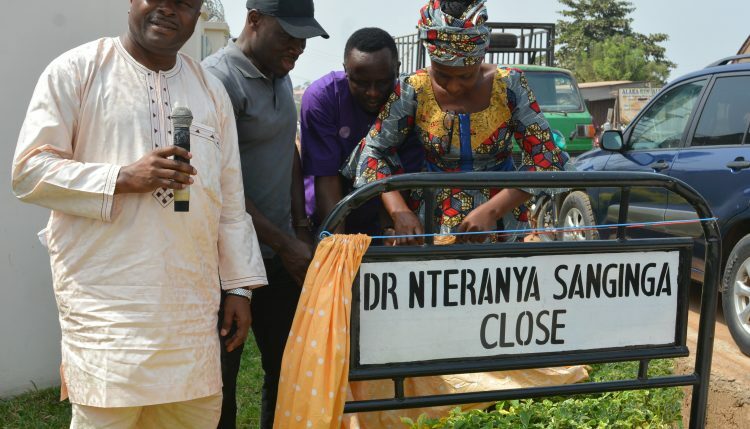 The ceremony was attended by the Baale, chiefs, and representatives of the street naming committee from the local government, as well as IITA Directors, management staff, and friends and well-wishers of IITA. 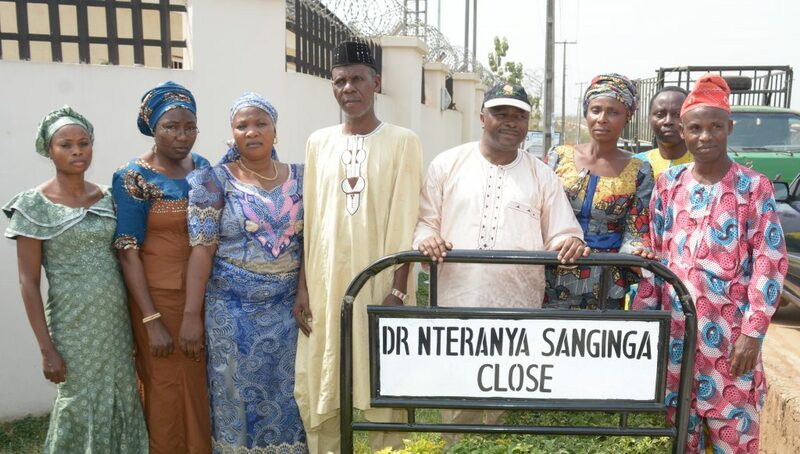 DG Sanginga (4th from right) with Akinyele LGA Street naming committee members.